With over 30 years experience and a real focus on customer satisfaction, you can rely on us for your next roofing project. DO YOU HAVE A ROOF INSURANCE CLAIM? We work directly with your insurance company to ensure your claim is handled quickly and your job is done the right way. With over 30 years experience and real focus on customer satisfaction, you can rely on us for your next roof replacement or installation. We are one of the few Denver roofing companies with an A+ rating with the BBB and we provide professional roofing services for residential customers as well as multi-family units. Denver Roofers installs many types of roofing materials available in the market today. Denver Roofers will provide you with the expertise necessary to install the right roof for your home. 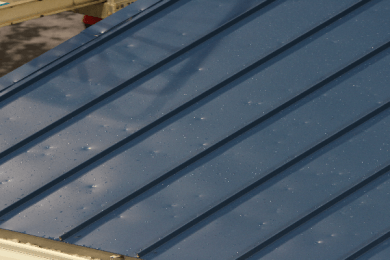 Does your roof have hail or storm damage? We will have one of our hail and storm insurance specialists inspect your roof, free of charge, in as little as 24 hours. Call today for your FREE inspection. Denver Roofers offers a variety of multi-family services including, consultation services, full service roof repair, roof damage assessment, maintenance and service. 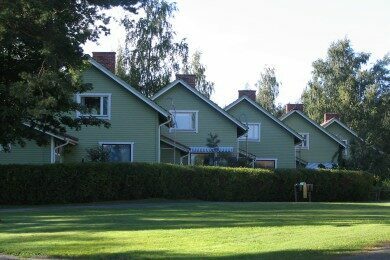 Denver Roofers provides quality residential and multi-family roofing services in the Denver, CO area. We are a reliable, full-service roofing contractor with the highest quality roofers and an A+ reputation with the Better Business Bureau. We specialize in new roof installation and insurance claims and will help walk you through the entire insurance claim process step by step. What are you waiting for? Call Denver Roofers today for your FREE roofing installation estimate! We combine 30 years of experience with quality workmanship and low prices to provide you with a roofing service unmatched by our competitors. We use the highest quality materials available in the market and we have the experience, personel and resources to make your project run smoothly. We will ensure the job is done professionally and on time. We are an A+ rated Denver roofing company and our technicians undergo extensive training and have the experience necessary to get the job done right. We will come out to your property and inspect your roof free of charge. We take pride in installing and inspecting roofs, and have helped homeowners across Colorado protect their roof investment. Give us a call today to ask about our monthly specials! Denver Roofers provides hail and storm insurance specialists to go out and inspect your roof, free of charge, in as little as 24 hours. If you’ve recently been through a storm, call Denver Roofers today for your free inspection. We will work with your insurance company to make sure the process is as simple and efficient as possible. Denver Roofers offers all types of roofing solutions and we use the highest grade materials in the industry. We are fully licensed and insured and are one of the few roofing companies in Denver with an A+ rating with the BBB. WHY CHOOSE DENVER ROOFERS L.L.C. Our roofers have installed and replaced commercial and residential roofs all throughout Colorado for large companies and home owners, where form and functionality is a top priority. We are the leading provider of commercial and residential roofing services in the area. We have been serving Denver Colorado and surrounding cities for over 30 years. We have the experience and knowledge necessary to get the job done right! Denver Roofers only uses the highest quality materials available in the market place. From mild leaks to full roof replacements, Denver Roofers does it all! We hold our roofers to the highest standards and require ongoing education. You can trust our professionalism and quality of work. Just ask some of our previous clients! "Steve was great to work with. Very responsive to emails, texts, voicemail's, etc. He had a great crew that set expectations all around and they stuck to it!!! They worked quickly and cleaned up nicely." "We have had a lot of big projects with our house and I must say it is hard to find contractors as honest, professional and punctual as Dave and Steve with Denver Roofers. It's clear how much pride they take in their work as their attention to detail and customer service is exceptional. Could not be happier with our roof and how easy they made the whole process." "My neighbor recommended Denver Roofers to us after a recent hail storm. 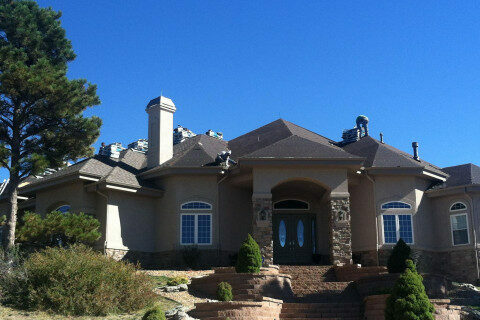 We couldn't be more pleased with the customer service and roofing work completed by Denver Roofers. They did a great job cleaning up and working with our insurance company to recover all money owed from our claim."